Guru Placement Division is a Rajasthan-based placement agency located in Jaipur. We are known for providing English speaking classes. 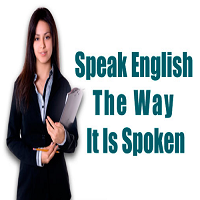 A good command over the English language has become a necessity to get a job in the present-day scenario. If you are not fluent in speaking English, get in touch with us today. We are backed by the team of maven trainers that can polish your speaking skills. Our English speaking classes are result-oriented and it can be seen within a couple of days. Our English Speaking Courses cover all topics in one go â�� Grammar, Fluency, Public Speaking, GDs, Presentations, Business English, Vocabulary, Interview Training and Email Drafting. Helpline No.- +91-141-4023443, +91-9982222204 , 9001099992. Personal attention is provided and a batch includes 8-10 people. Our non-stop 1-hour batches start from morning 7 am to evening 6 pm. Apart from this, you can also get your batch shifted to a certain level or repeat it as per the curriculum missed. You can also avail the benefit of creative writing and public speaking while we brush-up your English language skills.